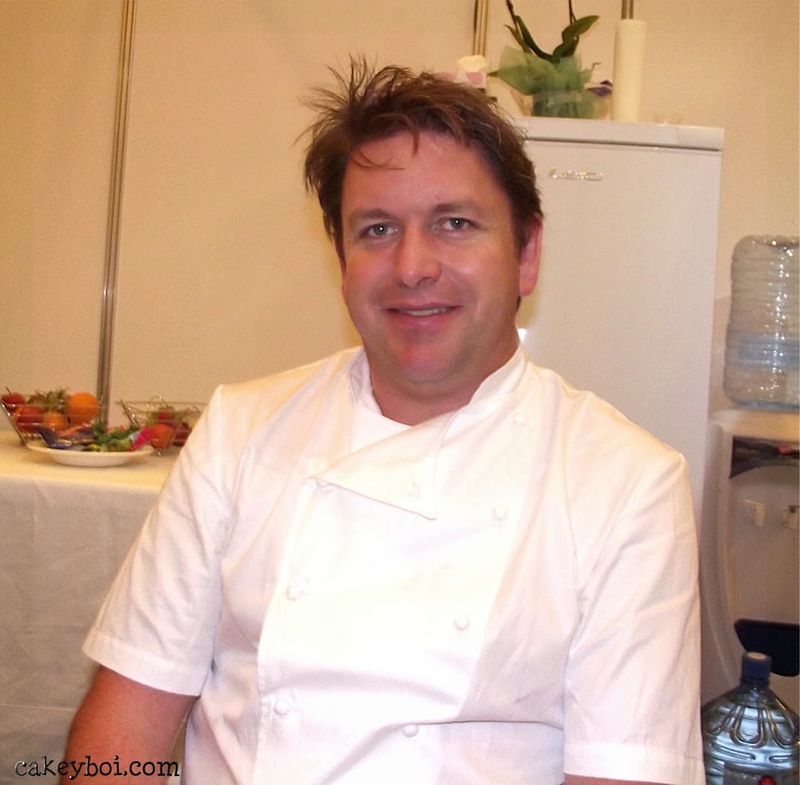 As part of being a BBC Good Food Show blogger, at the recent show in Glasgow, I was very lucky to be able to interview Mr James Martin, chef, TV presenter, fast car enthusiast and former ‘Strictly’ contestant. Question: You are quoted for saying that you were ‘rubbish’ at school? Answer: I wasn’t at cooking! Question: Well yes, but you actually failed at cooking? Answer: I failed it because I was dyslexic, and I am still – I failed a lot of things at school because I wasn’t academic and found it hard when it came to reading and stuff – that is why I employ a PA and I still find it hard. Back then (about 20 odd years ago) it wasn’t really diagnosed, particularly in a school in Yorkshire and I knew there was some issue but I couldn’t really pin-point it. You go through school and are told you’re thick and stupid but throughout all that and anybody you speak to (and Jackie Stewart was the last person I spoke to about this), he found something that he excelled at and was better at than anybody else. His big thing was shooting and food was my big thing. Question: If you were in charge of school education of food – what would you do differently? Answer: Well, you know, cooking is coming back on the curriculum now. People should be taught how to cook and not necessarily the protein break-up of a lettuce leaf! That has been the issue and that compiles a lot of issues that you get now with kids as they are not told how to cook. There is a generation gap who have never been taught cooking at school, parents who don’t know how to cook and of course they are now teaching the kids bad habits so it’s a vicious circle which is hard to break. Cookery is an important part of life and you quickly learn when you are at college to fend for yourself, but it is important and I don’t know how important people see it as, but it is one of the many things that we go through struggling as chefs really. I then asked James abut his show which was on the Good Food channel recently. Question: I was going to ask – I watched your show ‘United Cakes of America’. 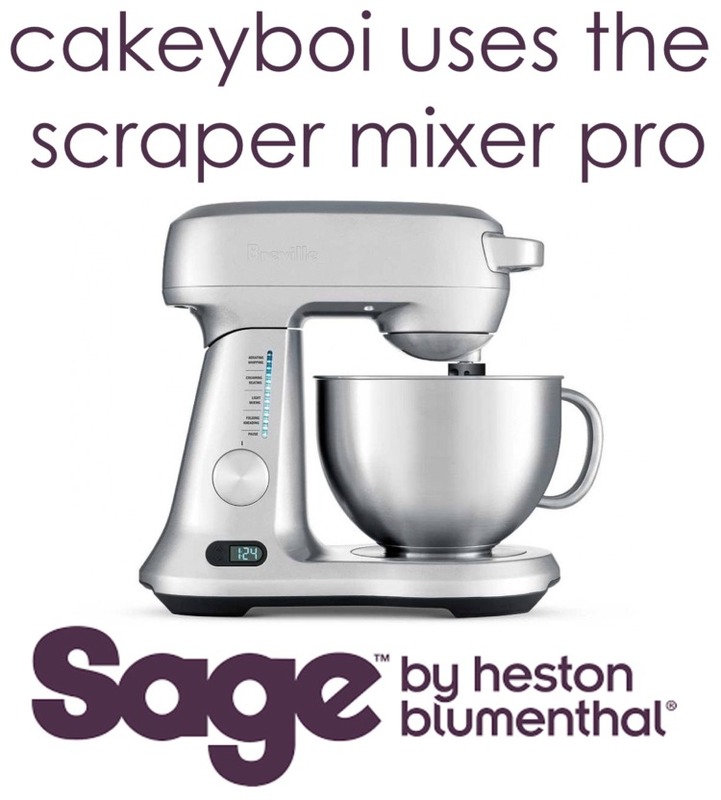 Do you think British baking is becoming Americanised? Answer: No not really. This thing is, with American baking, certain elements of it are amazing but the ground basis of baking in the UK is much stronger than the States, however the Americans do it a lot more. The issue with America is that they use a lot of oils, corn oil – stuff like that and corn syrups, which are predominately high in fat – you are better off using full fat butter to get the same sort of taste, but it is wrong to labelise America and food with burgers and donuts. It has got some of the greatest food and some of the most amazing restaurants in the world. There are some incredible places so it was a learning curve for me, so it’s one of those things where you can adapt and change recipes, but I learnt some fascinating things when I was there. Question: Good fun – was it a Cadillac you were driving? Question: Your new restaurant in Manchester is Modern British and champions locally sourced product as well. How important is that to you and what do you do to promote that to other people? Answer: I was a pig farmer for 20- years of my life so if I didn’t use local produce then I would get my arse kicked by my family! I did a series last year/this year on great British food and flew all around the UK and that is going to get commissioned next year as well. I’m a big fan of local producers, there is some amazing stuff around the world but there is some amazing stuff here in the UK that we produce and should particularly use and nurture. Some of them are the greatest ingredients in the world. Question: If you were on a dessert island, what sort of foods would you have as your food? Answer: Dairy milk – but the old fashioned dairy milk – not the new smooth type! Question: What do you think of the Scottish diet? Answer: That’s a difficult one because when we did the series I know how good the larder is in Scotland - it has got some of the greatest ingredients in the world right on the doorstep and we don’t appreciate it. 98% of langoustines in Scotland are exported and that is one of the many things. Raspberries for example are produced in 6 square miles in Scotland – there is nowhere else better for that and you can literally label produce – the lists are endless and I think it is sporadic in terms of whether you enjoy it, as a nation and England as well – everywhere. We don’t really appreciate what is on our doorstep and the programs I am doing let you see what we have on our doorstep and how we use it. Question: Where are your favourite restaurants in Scotland? Answer: I like Tom Kitchin’s – I’m a good mate of Tom’s and we both used to work for the same guy (Pierre Koffmann) who probably looks upon us as the two sons he’s got. He is a fantastic guy and Tom’s a great cook – inspirational for many youngsters. He’s good and a nice guy with it. Question: What about Glasgow – have you eaten out much here? Answer: I didn’t get a chance last night – I just flew straight in – I haven’t really eaten out in Glasgow to be honest. The last time I was here I went further north and went to the langoustine fishing event – I like to go to places like that and have langoustines and lemons. Question: What about Smokies from the town of Arbroath? Answer: Yes the Spinks’ – I have always been a fan of Arbroath Smokies. I have always championed that. You’ve got to have them hot in newspaper, straight out of the smoker, hot with butter. Question: Is there anyone on Saturday Kitchen – living or dead – you would like to see on the show? Answer: I would like to see my grandma – she was the inspiration for me when I was younger. She passed away about 12 years ago now – I would have liked to have seen what she made of it. She was a big Strictly fan as well so I would have liked to have seen what she made of that too. Question: In 1996 you started on the show ‘Ready, Steady, Cook’. If you were given this bag of 5 ingredients, what would you make from them? Answer: Probably do a herb crusted rack of lamb - use herbs/mustard/almonds for the rack of lamb and do a little sweet potato gnocchi with flour – Moroccan style with cumin for spices and would probably just eat the bloody chocolate! Question: If you stopped filming Saturday Kitchen tomorrow – what would you do? Answer: Have a lie in! I would like to do a bit more racing next year. I did a mini championship, I did the Goodwood revival. I did some pretty good races last year and had some good wins but I don’t know. Saturday takes over your life quite a lot and it’s a big responsibility and when you have restaurants as well it means being busy on Friday too. On a busy day I can get up at 5 am in the morning and finish at 1 pm and then drive to the restaurant and still be there at 1 am in the morning. So it’s a bloody long day. Question: How do you balance everything? Answer: By having good staff – you can’t do it on your own – the key to success of anything is the team behind you helping you. Question: Who is your favourite cartoon character? From that we can guess James is a fan of Wacky Races! It was great to meet James and chat with him. 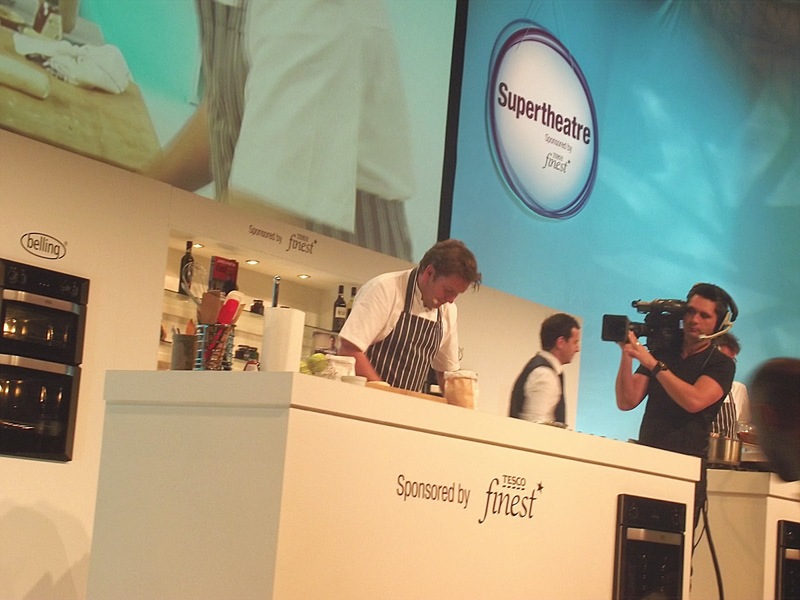 I ducked away just after the interview and watched as he took to the stage to cook in the Supertheatre. He is every inch the professional, but still is a down to earth guy and very easy to chat to. Thanks James! And a big thank you to my friend Denise for transcribing the interview from my iPhone. You saved me lots of time!! Nice interview, James does sound like a down to earth kind of guy. He was Janice, dead easy to talk to! Fab interview! It's a interesting read and it's nice seeing bloggers ask the questions! Yes, we bloggers do have our used don't we Kat lol!! I enjoyed the James Martin baking in America series but I did sometimes feel he was a little generous with his praise of what he was tasting - some of it looked pretty rough but he'd tell them it was the best he'd tasted. I suppose it's a fine line between being polite and being way too complimentary! Don't suppose he could say it was rubbish tho CC! Are you going to be at the BBC Good Food Show Winter in Birmingham next month? If so, come and say hello - we'll be right next door to the Great British Bake Off stand again this year (nice to have such distinguished neighbours). Great that you will be at the show guys - sadly I won't be there, but I will send my friend Kat over to see you! Lovely interview, with some interesting questions – you definitely got the best out of him. Well done! He comes across as a really nice guy on TV, and here too. Shame I couldn't be there on the Sunday to join you for the interview! It's a shame Ian Spink and his Arbroath Smokies weren't there this year as James often uses them in his dishes - yum! I know, I missed the Spinks being there too Katy.